At the invitation of Archbishop Nicolae (Romanian Orthodox Archdiocese in the Americas) and the community of the Holy Trinity Romanian Orthodox Church in Victor, NY led by their Proistamenos, Fr. 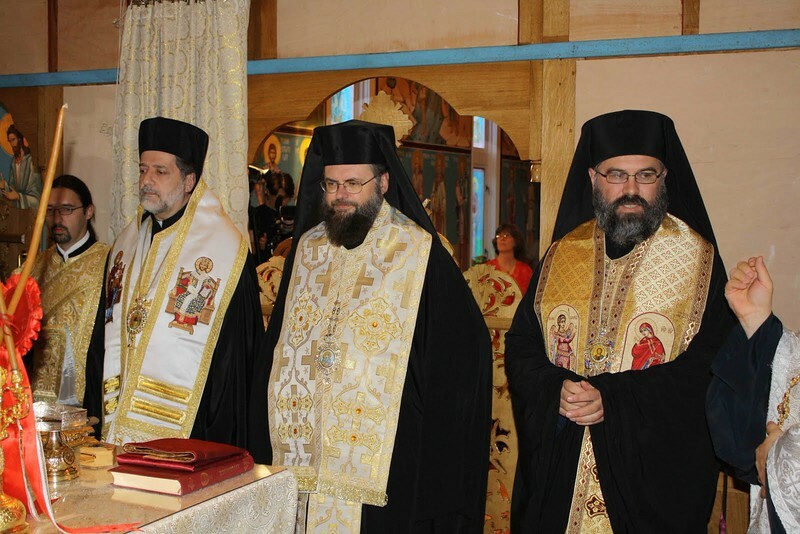 Daniel Ene, Metropolitan Nicholas attended the consecration of their church on October 8-9, 2011. L-R: Metropolitan Nicholas, Archbishop Nicoale (ROAA) and Auxiliary Bishop Ioan Casian (ROAA).